If you are reading this, chances are you already believe that plastic is negatively impacting our oceans and environment. You probably are already rethinking how you use plastic – choosing to refuse it when you can, and utilizing reusable bags and water bottles more often than others. I likely can make this claim for those that choose to watch environmental documentaries and read liberal media sources also. Creating more content explaining the different ways plastic impacts the world and our health – to try to get you to change – is not really necessary because you already believe it. However, for us to reach our mission of getting the entire world to change their attitude towards plastic, we need to stop “preaching to the converted” and instead we are focusing more on the unconverted … the uninformed. 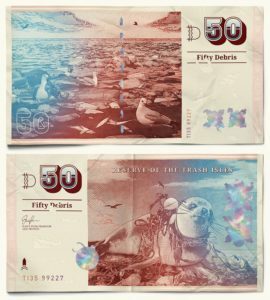 Trash Isles currency designed by AMV BBDO. How do we appeal to those that do not yet believe? Science, guilt, shock, celebrity-appeal? There are arguably many ways, but what we cannot continue to do is close the door on people who share a different belief and live in our own bubble. We need to push our boundaries and think openly and creatively to share our message. That’s why Plastic Oceans Foundation teamed up with LADbible and creative agency, AMV BBDO, to create “The Trash Isles.” LADbible is a brand that appeals to a large audience of young people, aged 18 – 24 (half of all UK men and a fifth of UK women in that age group). 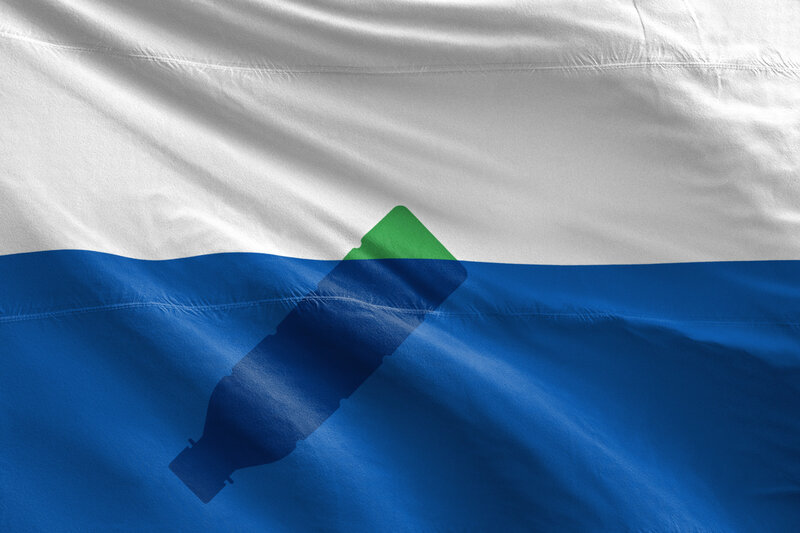 Although some took the symbolic intent of the “isles” concept too literally, the campaign was meant to encourage young people to lobby the United Nations to acknowledge the large amount of plastic in our oceans as its own country – with the goal being to force a conversation around the issue. So, both literally and figuratively, we wanted to push our boundaries to get people to recognize the impact of plastic pollution. And it’s worked. 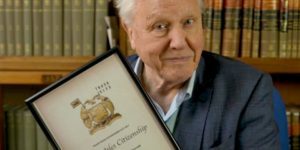 Sir David Attenborough shows off his Trash Isles citizenship. The campaign has reached over a half billion people worldwide. Over 50 million have viewed the video. 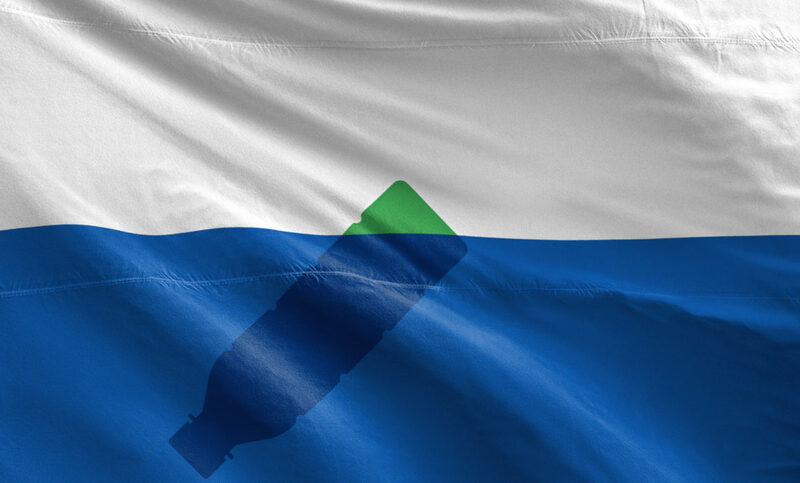 Environmental icons such as Sir David Attenborough and Al Gore have embraced it, joining over 225,000 others in becoming “citizens” of The Trash Isles, and the campaign has been featured by just about every major media outlet on the planet. We can also say that this campaign has reached millions that otherwise would not have taken notice of the plastic pollution issue – not through our work, nor that of any number of other organizations. In short, it’s far exceeded expectations by creating awareness at an extremely viral level. We are excited and honored that the Trash Isles campaign has won numerous prestigious awards in recent days, including two Grand Prix prizes (for design and PR) at the prestigious Cannes Lions awards. We embrace it as a perfect example of how creativity can serve as a powerful tool for awareness, engagement and change. Congratulations to the teams at LADBible and AMV BBDO! Job well done. Whether it’s through Trash Isles, or through a different campaign that you prefer, we ask that you join us in spreading the word to the uninformed. If we all make some level of effort to educate others on the topic of plastic pollution, together we can make a change.